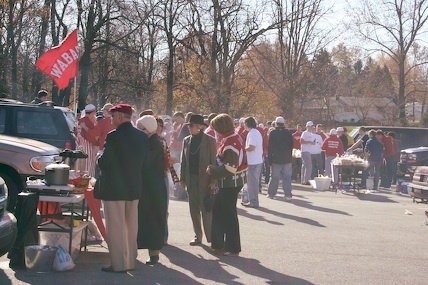 Wabash will again tailgate at all away football games. The details of each one are contained in the attached document. Please download the document and save it. As a reminder, the tailgate locations can change on game day as we're unable to control any last-minute changes. Just look for other Wabash fans. In addition, all the tailgates will be no-host this year. Bring your own food and beverage and join other Wabash fans before the game. For questions, contact Alumni and Parent Relations staff member Tom Runge at runget@wabash.edu or 765-361-6371.